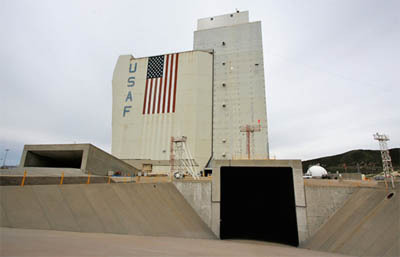 Although the exact launch time hasn't been revealed, officials say the liftoff will happen some time between 2 and 5:15 p.m. local time (5-8:15 p.m. EDT; 2100-0015 GMT). "Last year we executed the most aggressive launch campaign in over 25 years. We successfully launched six satellites in seven months and this year with the same determination we're scheduled to launch four more in five months," Betty Sapp, the NRO's principal deputy director, said in testimony before Congress on March 8. Last year's remarkable launch surge used various types of Atlas and Delta rockets to launch replacement satellites into virtually all of the NRO's networks of imaging, eavesdropping, surveillance and data-relay spacecraft, plus the small Minotaur booster lofted a research and development payload. 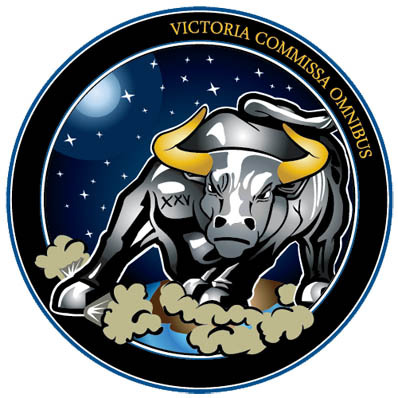 The NROL-25 logo for next week's launch. 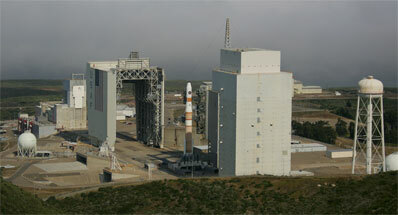 Next week's deployment will use the United Launch Alliance's Delta 4 rocket flying for the first time in its Medium+ (5,2) configuration, which features a single core stage filled with liquid hydrogen and liquid oxygen, a pair of strap-on solid-fuel boosters, a five-meter-diameter cryogenic upper stage and similarly sized nose cone to shroud the payload during the climb through Earth's atmosphere. The rocket will soar away from Vandenberg leaving a smokey contrail that should be visible for miles around, heading over the Pacific towards an undisclosed orbital perch. "In 2011 alone, NRO provided extremely valuable intelligence supporting more than 15 operations to capture or kill high value targets in combat areas. In addition, NRO supported more than 120 tactical operations locating Improvised Explosive Devices, helping to prevent the most lethal attacks against our ground combat forces. These tactical support operations also included support to ground and air tactical actions; counter-terrorist actions; and maritime anti-piracy/interdiction. We also provided vital overhead support to 17 critical Combat Search and Rescue missions. In addition to ground combat operations support, NRO supported 33 Strait of Hormuz transits ensuring U.S. Naval Forces had the intelligence assistance needed for safe passage," Sapp said in open testimony to Congress. "In both the U.S. Central and African Command Areas of Operations, NRO has developed and deployed more than 25 reference emitters which have been used over 13,000 times, and provided a significant enhancement in our ability to geo-locate surface to air missile radar systems. This new capability has allowed U.S. and Coalition military forces to be extremely precise in targeting these significant threats." We'll be providing complete coverage of next week's launch as the NRO's latest bird takes flight from the Central Coast of California.